In 2012 a series of wildfires burned across state lands, including Forest Reserves and Natural Area Reserves on Kauai. These fires scorched more than 3000 acres of land and represent one of the most significant wildfire events on Kauai since the 1960s. Subsequently Governor Neil Abercrombie issued an emergency proclamation directing the Dept. of Land and Natural Resources, Division of Forestry and Wildlife (DLNR/DOFAW) to develop a forest restoration project to mitigate post-fire damage. 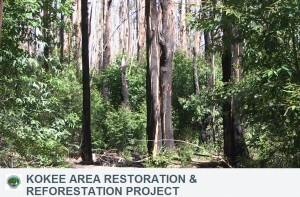 Currently DOFAW is planning for log removal and replanting in the burn areas. This video helps describe the fires, the damage they caused, and what needs to happen to restore the land to a natural state.